You'd be forgiven for wondering why the BBC is backing this diminutive computing device, especially in the face of the phenomenally successful Raspberry Pi 3 with its built-in Wi-Fi and Bluetooth. But the BBC isn't after the home maker market – instead the micro:bit is being distributed to school students as part of the BBC's Make It Digital programme. Indeed, after being announced last July, it is being given completely free to all UK year 7 students. 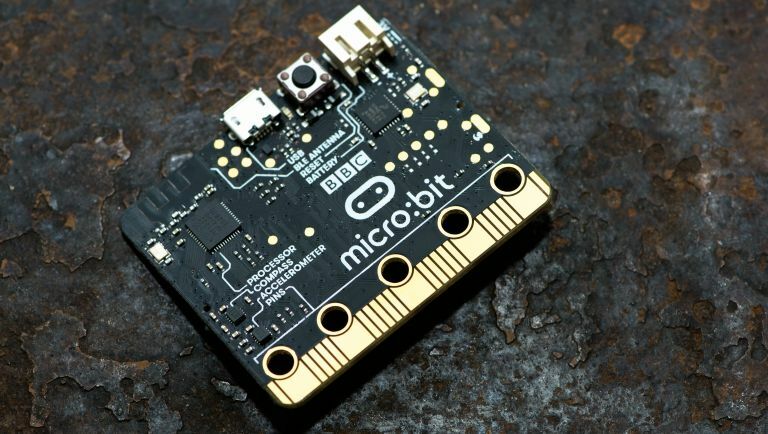 In a sense, the micro:bit is the 21st century successor to the legendary BBC Micro. Designed for education, the micro:bit essentially positions itself as the ideal first programmable computer. The micro:bit is designed to be connected to a computer via USB, while you can connect to many Galaxy phones via Bluetooth and take control of the camera. The micro:bit appears as a standard drive when connected to a computer. As you get more advanced, further electronic components, such as speakers, potentiometers and servos, can be attached. There's also a micro:bit Android app. It's a very different device from an Arduino or Raspberry Pi – not only is the micro:bit tiny, there are very simple contacts, built-in buttons and a set of LEDs that form a display once powered up. The idea behind the large contacts are so lab electronics can be crocodile-clipped directly to the micro:bit (the micro:bit comes with a selection of crocodile clips). There are further contacts for more advanced projects. The board really comes alive once inputs and output such as sensors and servos are attached. Block Editor enables you to drag and drop blocks of code across from categories on the left and is easy for complete novices to master. You really can see results with the board in just a few minutes and you can preview programs at any point before the program is compiled and downloaded. Any device attached to the micro:bit can be interacted with through the code, for simple inputs, such as a switch or sensor. Once you've downloaded the program, you then need to upload it to the micro:bit yourself. This can't happen automatically. Once you become familiar with how things work, you can convert the blocks into lines of code in the Touch Develop environment. So what do we think of micro:bit? 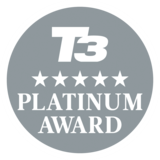 It's an ideal choice for newcomers to programming computers and offers a huge amount of support and resources. Rather than a rival to the likes of Arduino and Raspberry Pi, it's best to think of micro:bit as a springboard to those more complex platforms.